Today marked the 100th Day of school at Lincoln. To celebrate, students in lower elementary classrooms participated in a variety of activities related to math and literacy. The celebration kicked off with the Fabulous Friday assembly, at which all elementary students and teachers had fun sharing what they’ve learned as well as doing a 10X10 physical activity lead by Mr. Craig. By the end, there were at least 100 smiles in the Globe Theater! Lincoln School and ECEC Team Up! The Early Childhood Education Center (ECEC) was established in 2001 with the specific aim to improve early childhood education throughout Nepal by focusing on training Nepali teachers using current best practice instructional approaches. Through a longstanding partnership with Lincoln School, many ECEC Nepali teachers have moved toward achieving their goal by participating in workshops offered by Lincoln teachers and teaching assistants. Recently, Mrs. Alison Powell, PS/PK Teacher and Ms. Sonam Tiwari, Teaching Assistant, offered workshops for 70 ECEC teachers. Over the course of two days, Mrs. Powell shared her knowledge of early childhood and demonstrated teaching methods and practices, while Ms. Sonam focused on the importance and value of emotional intelligence when working with young children. It was a truly collaborative learning experience! KATHMANDU, Nepal. — The Lincoln School girls’ basketball and boys’ football teams have shown tremendous growth over the course of the season and are well placed to make their Snow Leopard marks on SAISA. The NISSA league and cup fixtures have proven to be an excellent way to help our respective squads develop, as we come to the “business end” of the season. In the boys’ football, the Snow Leopards finished 2nd to GEMS in the league after defeating KISC 2-0 and 3-0, enjoying a strong 3-1 win over TBS and then finishing the league with excellent 3-1 and 5-1 wins over RBS. Despite losing to GEMS in the league, the boys felt confident that they could have the last laugh in the NISSA Cup; however, it wasn’t to be after a 1-0 loss in the semi-final to TBS. Despite dominating possession, attempts and playing the majority of the match in their opponents’ half, a combination of good defending and wasteful finishing meant that Lincoln were unable to get on the scoresheet. A controversial 2nd half goal conceded off a free-kick meant there would be no replay of last year’s final vs GEMS. Nonetheless, the boys gained confidence from their strong performance even if the result didn’t go to plan, and again went on to beat RBS 2-0 in a shortened match of two 20-minute halves. Sangho headed home an Eskil corner kick, while Avi got a deserved goal with a great strike from outside the box. The boys have had a total of 6 wins and 3 losses from their 9 fixtures this season and will now play some tough opponents in order to prepare for the upcoming competition at SAISA. The girls’ basketball team has learned how to gel as a unit after one of their star players left Lincoln last year. The rest of the players have picked up their games and work for each other with great spirit and commitment. In the league format, the girls earned dominating wins over The British School, while defeating Rato Bangala in one game and losing closely in another. However, KISC appeared to be the team to beat heading into the Final 4 tournament at Lincoln on Sunday. The Snow Leopards once more pounced on RBS to win 20-16 and booked their place in the final against a KISC team who defeated TBS. The Lincoln girls played like warrior poets against a previously undefeated KISC, and took the lead with a few minutes remaining on the clock. However, KISC’s star player was difficult to stop and she scored the final basket to mean that the Snow Leopards had to settle for the silver with a 22-20 defeat. Nonetheless, we are so proud of our Snow Leopards and are excited for what the future holds as we gear up for our SAISA Season 2 tournaments. 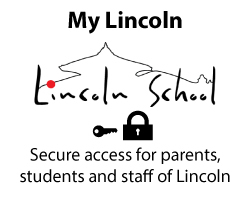 Go TEAM LINCOLN! On January 18th, English 11 showcased their research and presentation skills in an event titled, “Portrait of an Artist.” Each student became an artist who advocates for a social cause or global issue by using their art as a change agent. English 11 artist advocates were available in the secondary library for a Gallery Walk “meet and greet,” sharing their work and purpose with an audience ranging from grade 7-12, as well as teachers and administrators, and parents. LS Girls’ basketball takes home silver in the NISSA tournament! The LS Snow Leopards were victorious in their semi-final match up during the Final 4 NISSA Tournament, defeating Rato Bangala (20-16). LS had a major impact from their bench and all five starters were able to contribute with baskets. Lincoln School was able to seal the game with great defense that was led by sophomore, Akshara, and some clutch baskets down the stretch by sophomore forward, Maiya, and freshmen guard, Ayushma. In the finals, LS went up against the defending champions, KISC. The LS bench motivated the starting five throughout the night and 8th grade sensation, Niamh, continuously made crucial plays at both ends of the court to keep the big red machine (LS) in it. The Snow Leopards used a great team defense approach as well to erase a 6 point deficit to tie the game going into the fourth quarter. Freshmen, Sarya, gave the Snow Leopards their first lead with just under 2 minutes to play in a game that went back and forth. However, in the end KISC was able to pull out a 22-20 victory. The Snow Leopards walked away with a silver finish! It should also be noted that in the NISSA skills challenge, both Lincoln School’s Sarya and Maiya won the 3-point contest and total skills challenge respectively! The Snow Leopards will travel to India for the upcoming SAISA Championships. Stay tuned for ways to watch and support! Girls’ basketball on the rise! The Snow Leopards traveled to TBS to play their final NISSA regular season match, and were victorious. All players contributed for a complete team win. This young team continues to take positive strides on the Himalayan courts throughout the valley. Come show your support as they gear up for the upcoming Final Four NISSA tournament hosted at Lincoln School! KATHMANDU, Nepal. 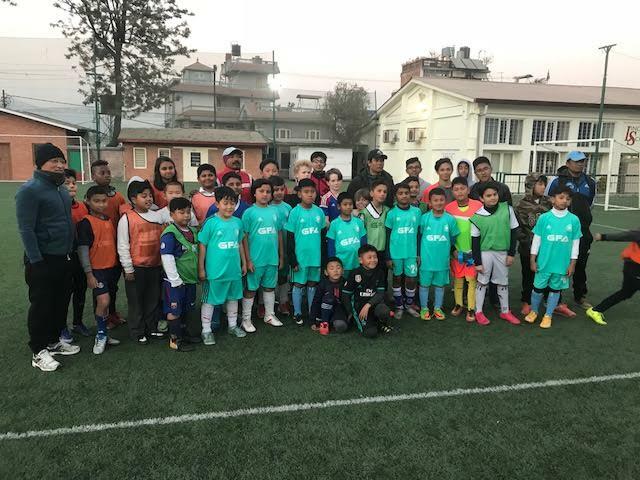 — On Friday, January 12th the Lincoln campus was buzzing with the youth football team playing against the Grassroots Futsal Academy, and the LS shuttlers taking on Malpi School. 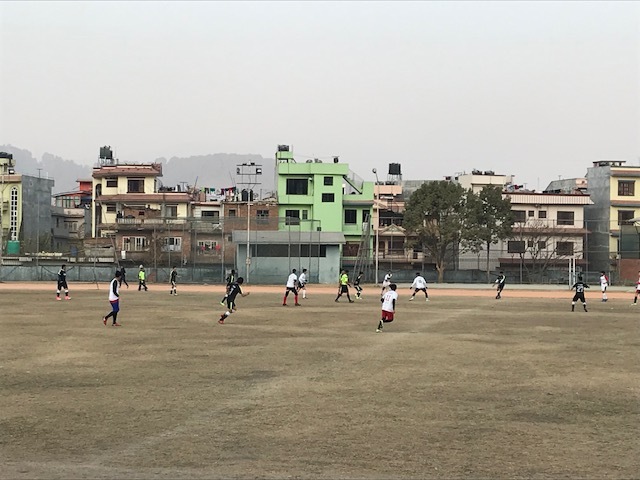 In the football, Grassroots brought 25 youth players, along with their coaches, to engage in an entertaining game that saw lots of end to end action. It was a high scoring encounter, with all members of the LS team getting time out on the field. In the Badminton, Malpi brought some skillful players with them, which was a good opportunity for our players to get some practice before SAISA. The Lincoln student-athletes, however, continued to show their level of growth and confidently withstood the challenge, winning the majority of their matches. 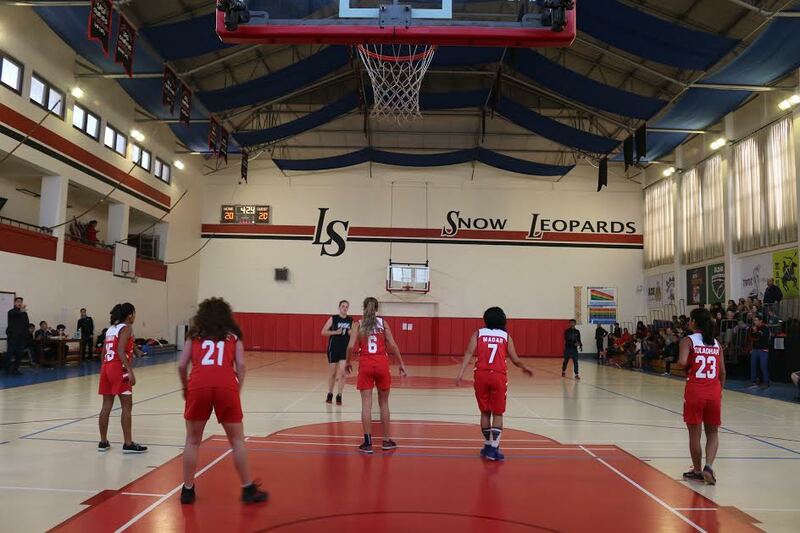 On Saturday morning, the LS gym was once again the stage for a NISSA girls’ basketball fixture, with the Snow Leopards taking on KISC. The girls got off to a great start and the game was evenly matched heading into the final quarter until KISC pulled away, winning 32-23. Nonetheless, the girls continue to show good growth and are confident of improving on this performance in the upcoming NISSA Final 4 tournament. KATMANDU, Nepal. — The Snow Leopards have come back from Winter Break right where they left off with disciplined training, a growth mindset and strong performances in competitive games. The SAISA boys’ football team has had two fixtures after the holidays as part of the local NISSA league. First up, the Snow Leopards produced a solid display at the APF Headquarters to defeat KISC 3-0. Despite taking a while to get into their groove, the boys dominated proceedings and missed a number of clear-cut chances to score more goals. On Sunday, the boys also played their second match of the league versus Rato Bangala School. Strong passing and movement led to another dominant display and a 5-1 win. The Lincoln boys are looking in good shape for the upcoming NISSA Cup and then, of course, the season culminating SAISA tournament that we are hosting. 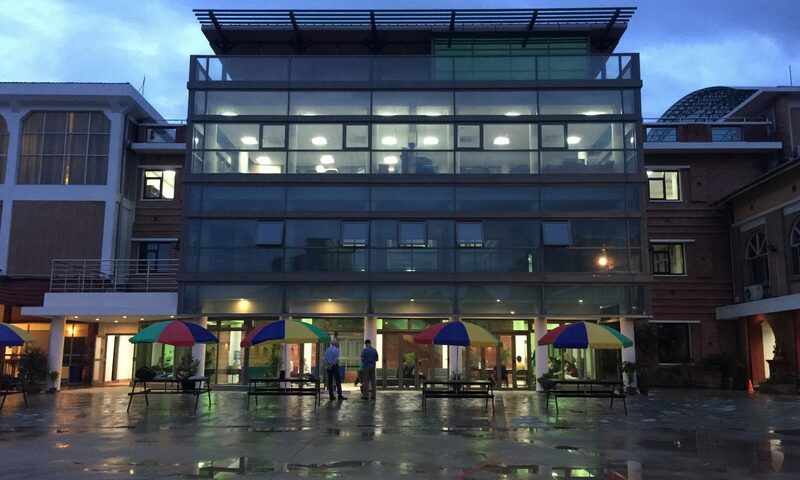 It was a great first week back from holiday. The elementary students were excited to be in school with friends and teachers. Whether reading non-fiction and learning strategies in class or being inspired by Picasso and Van Gogh to paint in art, it was delightful to see everyone back and engaged in their learning! The Leader In Me and Roots and Shoots ASAs provide opportunities for elementary students to learn about leadership skills, global citizenship and being stewards of the environment. This week, in light of the colder weather, the students took the lead and learned how to make eco-friendly paper briquettes out of recycled paper. These easy to make briquettes help clean the environment, are almost smokeless and generate enough heat to keep you warm. The student team had a lot of fun and will be learning more about these types of recycled forms of energy.